Valentine’s Day is a special day around the world and every country has its unique way of celebrating it. Valentines Day is a day of lovers irrespective of age. It is celebrated with much interest and gusto. 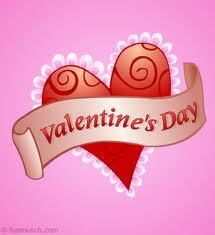 People of all ages celebrate this day exchanging love messages and honor St. Valentine the patron saint of lovers. Lovers give passionate gifts, flowers, cards and chocolates and are commonly seen in various hot spots like restaurants, cinemas, and so on. Others organize a party just to make this day alive. Different ideas emerged as to the history of Valentine’s Day. There are also many versions of valentine’s story. Experts said it begin from a Roman named St. Valentine who refused to gave up Christianity and was a sacrificial victim and died on February 14, 269 A.D. Folk tale declared he had become friend with the jailer’s daughter and eventually left a fare well note for her which says “From Your Valentine”. Another story said he was a priest at the temple during the reign ofEmperor Claudius who jailed him for disobedience. Pope Gelasius in 496 A.D. declared February 14 to honour St. Valentine. It was then in 1800’s when commercial valentine’s card was first introduced. There are many ways and different traditions in celebrating Valentine’s Day. In Wales hearts, keys and keyholes are favorite decorations in carved spoons as gift. It is interesting to know that in Japan ladies buy chocolates for men. Then after a month (March 14) they call “The white Day” the men will give white chocolate in return to ladies who remembered them on this special day. In Britain Magazines and tabloids publish poems and verses to commemorate this day. It has also been a long time tradition in Austria and Germany for men to buy flowers for their sweethearts on this special day but have to make sure their sweethearts like the color and fragrance of the flower. Different gifts, different traditions and giving of flowers surely add romance and excitement to the occasion. No matter where you are and what traditions you believed in as we celebrate valentine’s day let your loved ones know how much you appreciate them, express your feelings freely and let them know how much they mean to you.